The Ashley HomeStore Black Friday 2016 Ad is out and contains four pages of deals on furniture and and home accessories. If you were thinking of updating your furniture there are some great Black Friday doorbusters and online deals at the Ashley HomeStore website including many items up to 50% off or more! 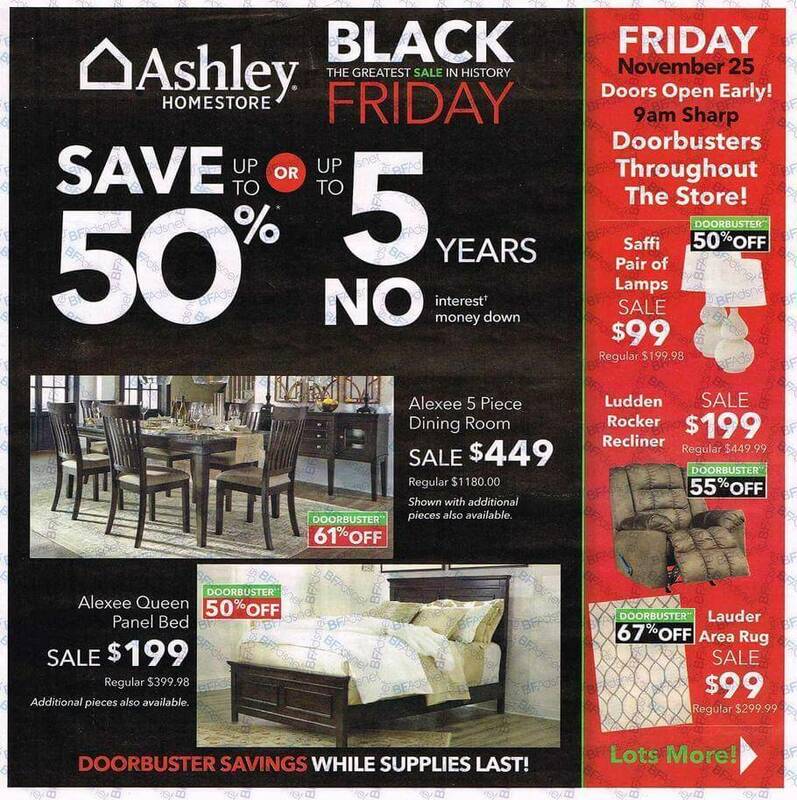 The Ashley HomeStore Black Friday Sale starts on November 25th at 9am and runs through November 28th.